Please read this page before submitting a guest post. My time is important to me, if you do not follow the submission guidelines on this page your request will be ignored. I will not email you to tell you that you’ve been rejected. 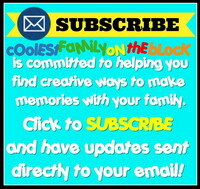 Coolest Family on the Block is (not currently) looking for Guest Bloggers. Because I will be linking back to you I accept submissions from family friendly blogs only. I do not accept guest posts from brands or businesses, all such requests/submissions will be ignored. You must have a blog/website of your own to submit a guest post. Please do not submit a guest post if you do not have a blog/website (unless I contacted you myself requesting that you guest post). All submissions that do not include a blog/website will be ignored. “Guest Post: [Insert Your Blog Name]” in the subject line. *You must include a link to your blog/website in your submission email. If you do not include a link to your blog/website then your submission will be ignored. *Send me your post with basic HTML included. I will accept your post within the body of an email or as an attached Word document. If your post is approved and requires no changes I will copy and paste it into the WordPress HTML editor. *Using images within your post is encouraged. Please attach images in your email in jpeg format. *All images must be owned by you or properly attributed and credited. *Within your post please feel free to link to related content on your blog or other websites. I reserve the right to limit the amount of links used in your post. *Do not link to affiliate, paid, or sponsored links within your post. *Sponsored posts are not allowed. *Your post must be relevant to the content on Coolest Family on the Block. You will find suggested topics here. *Your post must include a short 1-3 sentence bio about yourself/your blog with a link back to your blog. Refer to yourself in the 3rd person 🙂 The byline with link should be at the bottom of the post. If any changes are made I will email you the revised draft for you to review/approve before publishing. *Each post is automatically tweeted and posted on the wall of our Facebook Page and Profile. *Although it isn’t required I would appreciate it if you tweet your guest post, and post it on Facebook. You can use the share buttons at the bottom of the post. 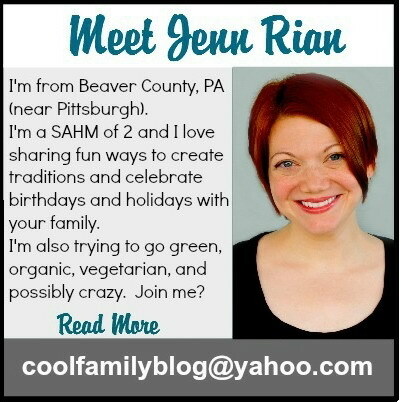 *Coolest Family on the Block reserves the right to decline to publish a guest post. If the draft you send me has been rejected then you will be notified and free to use your post elsewhere. NOTE: If you do not yet have a complete post ready for submission you may email me to let me know that you’re interested in guest posting along with any post ideas that you have and then send me your draft at a later date. Please include Guest Post: [Your Blog Name] in the email subject line. Need some inspiration? You will find suggested topics here. “Guest Post: [Your Blog Name Here]” in the subject line.